The care and support sector needs to change if it is to meet the needs of the future. The SCIE Future of care series aims to stimulate discussion amongst policy-makers and planners about the future of care and support, based on analysis of developing evidence and projections for the future. The series is accompanied by blogs and articles by policy makers, commissioners and practitioners, highlighting developing evidence and practice. SCIE works with local areas and organisations to support transformation. Integrated care systems (ICSs) – where NHS commissioners, providers and local councils work collaboratively – are increasingly being used to address the unprecedented pressures our health and care system is experiencing. It has been widely agreed that better integration has the potential to deliver more efficient and higher quality care. This Future of Care paper, aimed at senior directors and managers, is based on SCIE research into systems leadership in ICSs commissioned by the NHS Leadership Academy. This paper draws together the emerging evidence and insights from much of SCIE's recent work about transforming health, social care and support. One in three children born in the UK today can expect to live to 100 – presenting challenges and opportunities to innovate. Co-producing housing, planning and design solutions with older people can support us to live independently in our own homes for longer – and generate new markets. This report – written in conjunction with Design Council and the Centre for Ageing Better – sets out recommendations for central and local government, builders, planners, designers and lenders. This briefing explains that innovative, often small-scale models of health, social care and support for adults could be scaled up to benefit as many people as possible. The challenge is to make scaling up successful. The briefing is based on research conducted during the spring of 2017 by Nesta, SCIE, Shared Lives Plus and PPL. It includes real life stories. People who work in children’s services are motivated to improve the lives of children, young people, families and communities. Across the country staff in local authorities, voluntary organisations and private sector companies want to see children thrive, families grow and young people develop into happy adults. Accordingly they are trying out new ideas and approaches to give the children and families they work with the best chance of success. SCIE has joined together with Innovation Unit to create a briefing – our fifth Future of Care report – which looks at how to mobilise learning from these new ideas so that children, young people and their families can benefit. Every area has the potential to achieve more through the effective use of all the skills, knowledge and assets available within communities and individuals – as well as the public, private and voluntary sectors. This is known as an asset-based approach, where the emphasis is on people’s and communities’ assets, alongside their needs. Wicked issues – complex problems that cannot be solved in a traditional fashion – are endemic in the NHS. They are nothing new. But the current challenges facing the NHS, social care and others are arguably the most ‘wicked’ yet. This report summarises the findings from a research study which sought to explore how we can better broker constructive conversations with citizens to tackle wicked issues when implementing new models of care. The research was undertaken by the Social Care Institute for Excellence, working in partnership with PPL and the Institute for Government and funded by the Health Foundation’s Policy Challenge Fund. 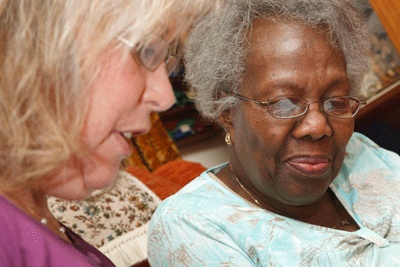 More care workers are needed to meet the care and support needs of the future. The adult care sector therefore needs to recruit, train and retain more social care workers. The extent of the challenge – and the effectiveness of our responses – will depend in part on political, economic, social and technological changes. This paper looks at three hypothetical future scenarios, and how the sector might respond to the challenges and opportunities those scenarios offer. It highlights the common responses and actions that may help to attract more people to a career working in care. The NHS benefits from having the Five Year Forward View which sets out a case for up-front investment in the NHS – but no such case has been made for social care. Yet social care has a track record of transforming services, such as delivering personal budgets and co-production, and needs to be backed to make further transformation possible. This paper explores the potential for scaling up the most promising examples of care and support services using data from Birmingham City Council, to see what their impact would be on outcomes and costs.